Our lodges are carefully constructed by expert craftsmen, assuring owners many happy years enjoying their precious holiday home. A lodge isn’t just an investment in your future happiness and well-being, but your family’s too. They’ll benefit from luxurious, restful escapes to the countryside for years to come thanks to the superior build quality of our lodges.Sometimes though, an owner’s circumstances can change and their much-loved lodge becomes available for a new family to enjoy. These lodges still offer all the luxury fittings and features of a brand-new lodge, but with the benefit of a smaller price tag. This often allows your budget to go that much further, so you can have the model you truly desire in the location you adore. 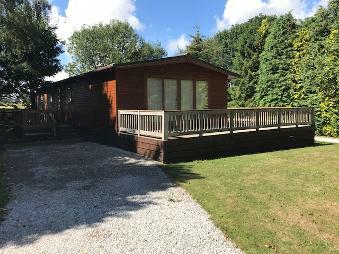 This beautifully kept lodge is now available for re sale. 50' x 22' with 3 bedrooms and 2 bathrooms. 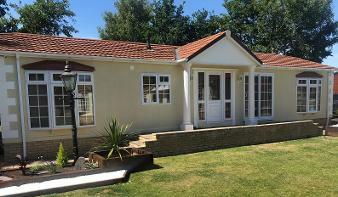 This stunning re furbished two bedroom lodge is sited near Beverly and ready to occupy now! On sale at £119,000 fully fitted and furnished.